The star of "Twilight: New Moon" talks about strange fan requests, what it’s like to be a Cullen, and how he would like to have dinner with Jesus. 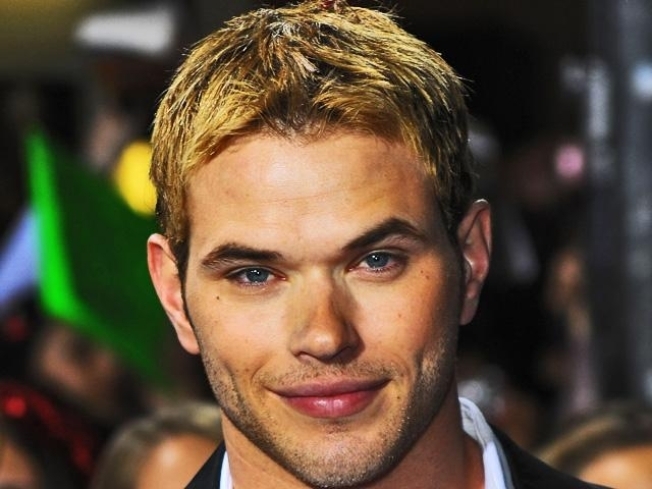 Kellan Lutz is right on time for his scheduled interview here at 30 Rock. He appears with three people, two who appear to be his public relations folks, and his make up artist. He is just over six feet, with a trim build, and oh, he is handsome -- pretty in fact. Exactly what you would expect Emmett Cullen, his character in the Twilight series, to look like. But all my perceptions of Lutz change when the young actor, 25, starts to speak. Even though he has his own action figure and is constantly bombarded by screaming teens, he is humbled by his popularity and the success of the movies. He dishes about the strangest thing a fan has ever asked him and how he gets along with his co-stars and even tells us about how bouncers tried to stop him from getting into the cast party.